Before conducting research and writing an article authors will examine work that has already been done in the field. They will cite previously-published articles in their paper and explain how their work continues, expands on, or challenges what was done before. After an author publishes his/her work other researchers may consult the paper and cite it. Looking for sources that have cited a paper after it was published is called citation searching. Many library databases, as well as Google Scholar, provide citation searching. Look for "Cited by" or "Times Cited" links. These will tell you the number of citations and link to a list of the citing articles. 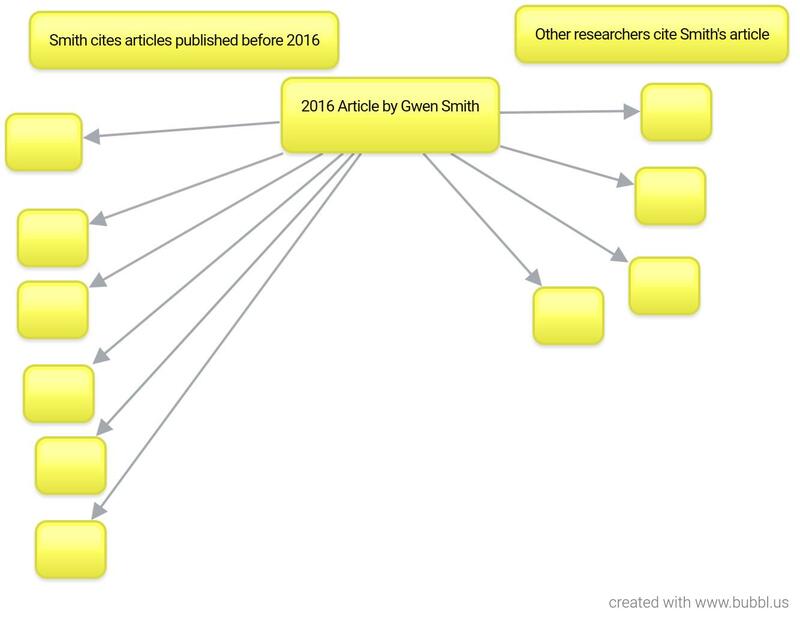 The Web of Science Core Collection database is particularly strong in providing citation searching. How to do a cited reference search in the Web of Science Core Collection database.